Fortepianist Sylvia Berry, a native of Philadelphia, has performed extensively at home and abroad as both a soloist and chamber musician. Her debut CD of Haydn sonatas, performed on a piano built by a man whom Haydn befriended in London, has garnered critical acclaim. The 1806 Broadwood and Son grand featured on this CD was restored by her husband Dale Munschy in Somerville, MA in 2011, and represents the kind of instrument Haydn and his dedicatees would have used to perform these works. This early piano, with its leather-covered hammers, straight-stringing, and wooden frame, has a brighter and more transparent sound than pianos of today. It also has a wide dynamic range that heightens the sharp contrasts Haydn wanted between brilliant, fiery passages and tender, lyrical ones. The woman whom Haydn wrote most of these works for, Therese Jansen-Bartolozzi, was a virtuosa of the highest order who herself would have owned a piano like this. Interestingly, there are not many recordings of Haydn's "London works" (sonatas, trios, songs) on English pianos since most fortepianists play Viennese models. Thus, this recording gives a fascinating glimpse into the sound world of Haydn and his performers. 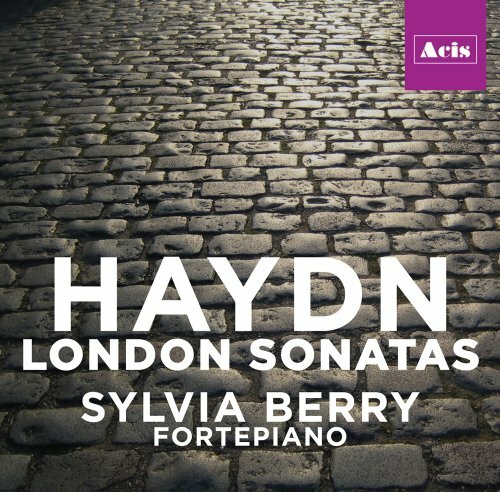 Haydn: London Sonatas was recorded for Acis Production at Drew University in 2012. The disc was produced by Geoffrey Silver and engineered by Loren Stata. Dale Munschy served as on-site instrument technician, while Concert Hall Manager Ellis Hilton took wonderful care of all of us.